The structural, electronic and magnetic properties of niobium- and tantalum-doped germanium clusters MGen (M = Nb, Ta and n = 1–19) were investigated by first principles calculations within the density functional theory (DFT) approach. Growth pattern behaviors, stabilities, and electronic properties are presented and discussed. 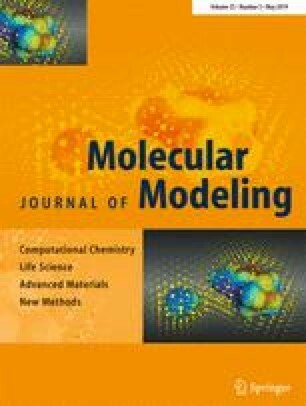 Endohedral cage-like structures in which the metal atom is encapsulated are favored for n ≥ 10. 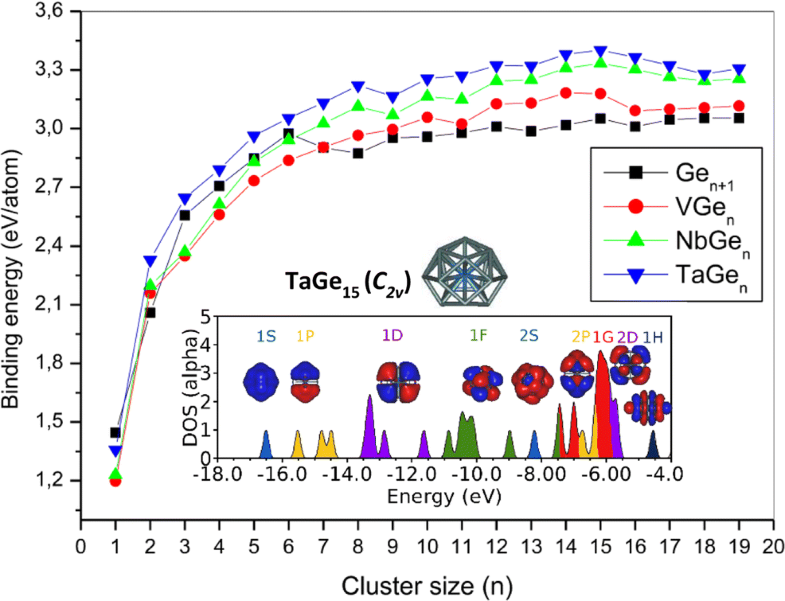 The doping metal atom contributes largely to strengthening the stability of the germanium cage-like structures, with binding energy ordered as follows BE(Gen + 1) < BE (VGen) < BE(NbGen) < BE(TaGen). Our results highlight the relative high stability of NbGe15, TaGe15 and VGe14. F.R. thanks the GENCI-IDRIS (Grant A0050807662) center for generous allocation of computational time.